Did You Ever Google Your Illness ? Have you ever wake up with rash all over your body? or perhaps waking up with a lump under your left arm? Then, the first thing you do is grab your phone, swipe up, open google and typing your symptoms on the search bar as if it was your personal doctor. That is one of the normal situation happening in our heavily digitized society. However, seeking a quick answer for your ailments through google will only add up your frustration. This phenomenon has been identified as Cyberchondria which is the unfounded escalation of concerns about common symptomology based on review of search results and literature online. The more information we read online regarding our symptoms, the more likely we will self-diagnosed ourselves. Then in extreme case, ignoring medical experts. 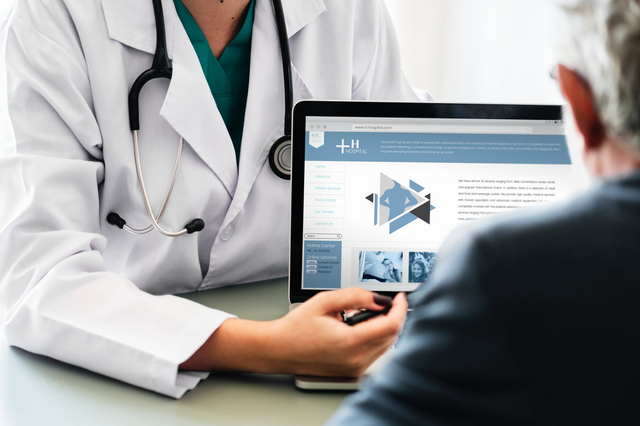 There has been a studies conducted by health watchdog which reported four in ten people admit putting off going to their GP, with more than half saying they had turned to the web instead. That's terrifying isn't it? I was like that as well. I would check my light symptoms via google so that I know, once I visit the doctor, I can explain better. However, the result that I get is always frightening. It was either cancer, tumor, or very serious diseases that can lead to death. As result, whenever I visit doctor, I take their words with grain of salt. They would prescribe something but I am often still anxious about the "what if's". Having sickness is already bad enough but the thought of having serious illness that can lead to death only add up to my own frustration hindering the recovery process. Not only but also, I would monitor my body more than the usual, trying to note each trivial side effects, and browse more because I have not been healed despite taking the prescribed medication. The more I search, the more vocabularies I know about possible illness that might or might not happen to me. Thus, it leads to more doctor visit although I can be healed if I only listen to the doctor's advice the first place. I am sure that is something familiar with your experience. I personally recommend whenever you get sick, immediately seek medical practitioners and not browse anything on google. Literature online and google search should never replace expert medical advices and examination. If you are against Pharmaceutical drugs there is alternative medication called ayuverdic. But that too, should be under guidance of experts that can assist you more than the blogs you read on the internet. Although the things you are consuming are plants, it can lead to several side effects that might harm your body further. Please don't Google :-D visit the doctor very soon!! OH! you're so like me!!! I used to be afraid of doctor but then I decided to have a visit so I can speed up my recovery process!! Perhaps if you don't like doctors, maybe you can try feeding your immune system by consuming more healthier options of food.